Stop The Presses! 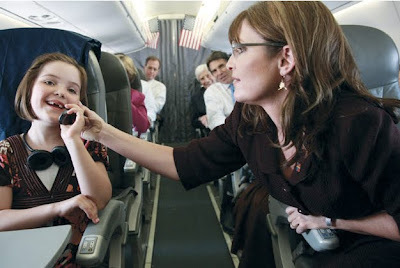 Sarah Palin Flies On Airplanes!! You know, I wasn’t going to even address this nonsense, but I guess after a year of reporting on the insanity the loons on the left cook up about Sarah Palin, I should have known better. The left fears Sarah Palin like they have feared no other. Sarah Palin represents all that is good and great in America, and the left absolutely hates America. They show their contempt for this great nation, and all that makes it so, on a daily basis. So what is the latest lunacy from the hate mongering left? Well, (OMG!) Sarah Palin is flying on airplanes to some of her book signings, and not riding the bus the whole time. Oh the humanity! This lunacy started in a piece written on the Daily Beast. Some loser, who I refuse to give the satisfaction of naming, went into a lengthy tirade about somehow Sarah was a fraud, a phony, because she was actually flying to some events and “punishing” her staff by making them ride the bus. This future Pulitzer Prize winner had enough charts and graphs, and 8×10 color glossy pictures, with circles and arrows, and a paragraph on the back of each one, to make the cop in Arlo Guthrie’s Alice’s Restaurant proud! It’s a damned shame this guy wasn’t interested in…oh…say, the photo op Obama’s crack team sent Air Force One on, over the City of New York! You remember, the one that scared the crap out of the citizens of the city, who still kinda remember that little thing we call 9/11! The bill for that was around $350,000 for some really crappy pictures. Photoshop would have been a LOT easier, and a dollar or two cheaper! Then there is Obama’s date night with Michelle in New York City. That didn’t cost much, did it? Or how about all of the parties at the White House? That place has been busier than Austin’s Sixth Street on a Saturday night! Party central. $100 a pound Japanese Wagyu beef, arugula, and all!! AOL now has a story up on their front page fueling the fire. Why Conservatives do business with AOL beyond me. They are further to the left in their “news” dissemination than MSNBC, which is a wholly “owned” subsidiary of Obama, Inc. I mean just worthless as a news source. Anyhow. AOL is not only linking Palingates, which is part of the Alaska Mafia, the group that White House adviser, and Obama’s campaign chief-of-staff , Pete Rouse, helps coordinate. They link the ultra far left hate site, the Daily Kos! Palingates is part of the hate blogs who helped file the dozens of phony ethics complaints that cost the Alaska tax payers millions, paralyzed Palin’s government. They are evil. It’s shocking though, that AOL also quotes one of the most vile, hate filled sites on the internet, the Daily Kos. A site by the way that hosts a yearly function in D.C. that is basically required attendance for all democrat/communists if the want to please their radical far left base. Most attend. Again, why a major corporation like AOL would want their image tarnished with hate and lies is beyond me. It’s why we refuse to do business with them in any way, shape, or form. Astonishingly, their discussion forums are filled with the same hate filled “progressves” that frequent sites like the Daily Kos and the Huffington Post, two of the most vile websites the internet has to offer. So I guess that IS what AOL wants to be, who they want to cater to. Anyhow, as I said, I wasn’t going to give any of these loons credence, but this, like everything with Sarah, has reached critical mass as now the Tiffany Network is reporting this nonsense. CBS being the “news organization” that had Obama’s almost Vice President Sam Nunn basically write the questions that Katie Couric used in her much talked about interview with Sarah last year. Oh, and Dana Chivvis, the so-called “reporter” for AOL who wrote this? She also blogs at CBS.com. I’m shocked. It’s really comical at this point! Despite all of the important events happening in the world today – the president’s speech tonight on the strategy in Afghanistan, the Senate debate over health care reform, the disturbing details of the “Climategate” scandal, the continuing challenges facing the world economy – the media is concerned about my travel and lodging arrangements on my book tour?! Does this sound familiar? It should. The media showed the same out-of-proportion obsession with my personal arrangements, clothes, and hairstyles last year instead of focusing on the crucial issues involving the election. So what is this news “story”? That I fly on an airplane to complete some of the stops on my book tour when it’s impractical or physically impossible to reach the next event on time by bus. Some news outlets are behaving as if my travel was a secret that they didn’t know about – despite the fact that I’ve tweeted about my flights and at least one local newspaper reported on the arrival of my flight into Rochester, NY. What’s even funnier is that these same media outlets think it’s shocking that we stay in hotels. I guess they expected us to pitch a tent alongside the road. We love the great outdoors, but such an arrangement is hardly practical for a book tour. Using common sense, it was determined that traveling by plane between some stops would save time and energy and allow me to go to more events. Economically speaking for HarperCollins, it’s more efficient to travel by charter, and I am very grateful to the publisher for providing my family and me with this incredible opportunity to shake hands with as many Americans as possible on this book tour. If you’re scratching your head wondering why my flight and hotel logistics warrant news coverage, join the club. They can, of course, report on whatever they like, but in my opinion CBS loses whatever professional integrity it still has when it links in its report to a website devoted to the bizarre conspiracy theory that I’m not the real mother of my son Trig. I’m truly humbled by the response to my book tour by everyday Americans, and if traveling by plane means that I can meet more of these wonderful people, I’ll travel by plane (or bus or train or canoe or dog sled or whatever it takes). Please enjoy the photos below! The pictures Sarah references are copyrighted by the photographer, Shealah Craighead so please take time to go to Sarah’s site and check them out. The shocking photo below is from the 2008 campaign. It clearly shows Sarah Palin inside an airplane! Piper is seen talking to President George W. Bush on the phone. No doubt discussing state secrets, or something. Also seen in the photo is Texas Governor, Rick Perry. Make of that what you will! Sarah is obviously right in all of this. Of course, the real deal is: This is a diversion. Look at what is going on right now that the democrat/communists absolutely do not want you to know about or focus on. First, our most corrupt “president” in history is about to turn Afghanistan into Vietnam 2.0. We have now politicized this war. Something that should NEVER be done. It is unforgivable that this poor excuse for a commander-in-chief would play games with the lives of our finest and bravest. Obama and the rest of his far left radical regime are making the exact same mistakes the democrat/communists did in Vietnam, and a lot of brave men and women will die for it. From this day forward, every death in this war is on Obama. Then there is the health care debate. Most of America, according to any poll you want to cite, is dead set against this plan that will cost an estimated six trillion dollars. This is the biggest power grab in history. A plan that will tax this nation into oblivion, destroy the best health care in the world, and totally usurp states rights, while basically rendering our sacred Constitution null and void. And by all means, our economy is in shambles, so let’s don’t talk about all of the lies Obama and his team are spewing about jobs “saved or created.” We all know that Obama’s Recovery.gov is an $18 million waste of tax payer money, and a total sham, with reports of jobs being “saved or created” in almost 100 congressional districts that don’t even exist! So by all means, lets don’t talk about that. Then there is the crowning jewel: Climategate. This little deal has just exposed “global warming” as the greatest lie ever told in the history of mankind! Not only have all of the scientists been cooking the books, now they are destroying original findings to hide their crime against humanity. Who knows how much treasure has been wasted by the nations of this earth chasing this proven lie! Now thinking people ALWAYS knew “global warming” was a hoax. Only the flat earthers, the uneducated, those devoid of any sort of common sense, fell for this scam. Crooks like Al Gore have made hundreds of millions of dollars off of this lie, and he stands to make billions. Same goes for companies like General Electric, the parent company of NBC/Universal, which continually pushes the “green” agenda, even through it’s entertainment division. General Electric CEO, Jeffrey Immelt, by the way, serves on a couple of advisory boards to Obama, and G.E. Capital received billions in TARP funds. People like Gore and Immelt should be locked up in prison for helping spreading this hoax and profiting off this lie. Al Gore especially, as he has infected children world wide by having his total propaganda film, An Inconvenient Truth, forced on school children everywhere, as fact. Bernie Madoff looks like a saint compared to Al Gore. Even better, as the wheels come off the wagon, and the extent of this greatest hoax on mankind in the world’s history continues to be exposed, our so-called “president” is now planning to go to the “climate summit” in Copenhagen to discuss treaties on this nonexistent problem that would basically turn over United States sovereignty to an unelected, unaccountable board. As we all know, the real agenda of all of this is to turn the entire world into a communist affair. This is wealth distribution on a biblical scale. And that’s the real reason this big lie was cooked up in the first place. It’s a mechanism to steal trillions of dollars from wealthy nations and give it to third world counties. It’s Karl Marx on steroids! But (OMG!) Let’s don’t dare talk about THAT! What we should be talking about is why we are not storming the White House gates and demanding that these rabid communists all step down! Why someone isn’t bringing out articles of impeachment on this reckless “president,” or at the very least threatening to if he goes to Copenhagen and starts this process based on the greatest lie ever told, the greatest scam in human history. That’s what we should be talking about, but nope, instead your friendly local Obamacentric propaganda outlet, err….. I mean….. news outlet, is spending all of it’s time fretting about the fact that the Arctic Fox is flying on airplanes and sleeping in hotels! Folks, we have real issues in this nation, serious issues. We need to hold these dishonest reporters accountable. But more than that, we need to hold the most dishonest and corrupt “president” in our nation’s history, along with the most dishonest and corrupt Congress in history, accountable. We must demand that Obama and his team either get it together and follow the Constitution, or step down. And if not, face the full wrath of the American people, which needs to include prison time for the lot. The same goes for Congress. All of these people work for us. With few exceptions, they are horrible employees. We need them to understand they are on notice. Here again, the worst of the lot, the ones pushing the “global warming” lies and this unconstitutional power grab disguised as health care reform need to be tried for treason, and dealt with accordingly. Americans have set back for too long and just accepted things from the crooks in D.C. as they came. Americans have also put up with a corrupt media telling lies about good people, and covering up for those destroying America. Now, just like this nonsense with Sarah, things have reached critical mass. The excrement has hit the fan! As Americans, we must get involved and me must act. Me must act now and DEMAND change. We are on the very brink of losing America as we know and love it, forever. We do not have the luxury of sitting back while the media misdirects us with nonsense stories like the fact that Sarah Palin flies on airplanes, Tiger Woods has issues, or whatever the diversion of the day is. We are gripped by an evil this nation has never before known. Marxists, communists, socialists and other radicals have been hiding in the shadows for decades looking for their chance to act. They have infiltrated our government, infected our schools and universities, and infiltrated our news media.. The election of Barack Obama as well as the most radical far left Congress in our history has provided the perfect storm for this great evil to take hold of America. These people, all working in concert, mean to fundamentally change America forever. They have been working for decades at destroying the very fabric of society. We are at a crossroads, like this story on Sarah Palin’s travel arrangements, this diabolical plan to destroy America from within has reached critical mass. Make no mistake about it, I am sick and tired of the hate filled left, and their attacks on one of the finest leaders this nation has ever produced. It angers me to my very core that these gutter snipes take daily swipes at Sarah Palin. They are the lowest of the low. But, we must never lose sight of the fact that part of the reason the media is doing this, is to distract you from the great evil that is being done by those in Washington, D.C., and those who wander the halls of our institutions of “higher learning.” The media is willfully enabling what amounts to a coup de’tat. We have a government that has run amok. A government that no longer listens, or cares about the American people. This most corrupt institution in our history must be stopped. The violators of our Constitution must be dealt with severely. Oh, the media means to destroy Sarah Palin, that’s for sure. Sarah represents a clear and present danger to all of their evil plans. Sarah has energized and inspired a nation. Millions have been awakened by this magnificent woman’s spirit, integrity, and willingness to fight. Those who wish to destroy America from within, in an effort to remake it in their image, will go to any and every length to achieve their goal of stopping Sarah Palin. And if they succeed? Well, they’ll just keep on going, and if someone else dare stand up, they’ll start in on them. This is how they work. Sarah Palin is by far the most powerful leader we have had in a generation or more, but make no mistake about it, anyone who dares to stand up to this evil will be hated, smeared, and otherwise targeted for destruction by those who wish to destroy America. So in the end, we must fight. We must fight with every ounce of our souls. We must fight for Sarah Palin and we must fight for America. We must unite behind this great cause, this fight against evil, or see that shining light on a hill, as Reagan described America, go dark forever. As you probably have heard, the AP snagged a copy of my memoir, Going Rogue, before its Tuesday release. And as is expected, the AP and a number of subsequent media outlets are erroneously reporting the contents of the book. Keep your powder dry, read the book, and enjoy it! Lots of great stories about my family, Alaska, and the incredible honor it was to run alongside Senator John McCain. We all laughed last night as excerpts from Sarah’s interview with the Oprah and parts from her book, Going Rogue, An American Life, went public. The corrupt media went into overdrive with true nonsense. As Sarah herself would say, it’s time for the media to stop making things up! John Ziegler weighed in on all of this last night. John has spent some time with Sarah interviewing her for his movie: Media Malpractice, How Obama Got Elected. He’s also been a strong defender, like many of us, when the media lies about Sarah. I have signed a nondisclosure agreement with Harper Collins regarding Sarah Palin’s new book so until it comes out I am limited to discussing only what is currently in the public domain. However, I simply must respond to the Associated Press “report” on Going Rogue. Even grading on the “Palin Scale” of media bias, the AP’s synopsis is a joke. Based on how the AP sees the book, you would think that the most significant disclosure is that Palin had to pay back the McCain campaign for part of her vetting because they lost, followed closely by the fact that she felt “badgered” by Katie Couric and didn’t get her way on election night. In short, the book that the AP supposedly read sounds like it is full of self-serving whining and almost totally lacking in substance. That is not a remotely accurate evaluation of Going Rogue. First of all, there are far more interesting and important revelations in the book (I have noticed in my own experience with my film “Media Malpractice” that one of the most insidious forms of media bias against conservative projects is to paint them as boring) that the AP has for some reason chosen to totally ignore. Second of all, Palin’s analysis of what really happened with the now infamous (and totally misunderstood) Couric and Gibson interviews could not be LESS whiny — it is instead full of fact-filled writing that finally provides the full story of what really happened in the way that only a book can do (my documentary, which I am told Palin handed to her collaborator and said “here, this is what happened” could only provide a foundation of understanding that is magnified in much greater detail in Going Rogue). My greatest regret (and I have many) in the course of making and promoting my documentary of the news coverage of the 2008 election is that I completely underestimated how impossible it is for a conservative (especially one as hated by the news media as Sarah Palin) to correct the historical record about media coverage because it is so easy for the very same media to portray you as whining. I was naVve. I thought that telling the real truth of what actually happened would be seen as intrinsically valuable and eminently appropriate. Governor Palin instinctively knew different, telling me several times before during and after my interview with her that she was wary of being wrongly perceived in that way, and knew that she would have to thread a very small needle. I wish I had done a better job of combating that totally incorrect perception and perhaps that is why I am so sensitive to the subject when it appears the AP is not so subtly laying the groundwork for a resurrection of that bogus charge. The bottom line is that the AP is either purposefully or out of their own profound unconscious bias, badly missing the most important points of Sarah Palin’s book. Considering the role the mainstream media played in creating the need for her to write this book in the first place, that should not be a big surprise. 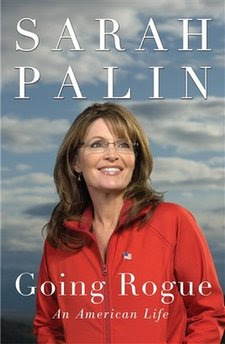 If you are interested in this most amazing of all modern political stories, I urge you to read the book for yourself and not let those who want Palin destroyed to continue to dictate your perceptions of her. Her book may be the only way for you to know the real Sarah Palin. Don’t let the AP read it for you. Make sure you check out Ziegler’s website here. By the way, listening to Rush Limbaugh this morning revealed that despite what Mark Halperin at Time Magazine is peddling, that Sarah’s book is mostly bio and fluff, the book contains a strong vision for America. Rush calls it one of the best policy books he has ever read, we’ll have transcripts from this up later. Rush revealed he interviewed Sarah or the upcoming issue of his popular Limbaugh Letter. By the third week in September, a “Free Sarah” campaign was under way and the press at large was growing increasingly critical of the McCain camp’s decision to keep me, my family and friends back home, and my governor’s staff all bottled up. Meanwhile, the question of which news outlet would land the first interview was a big deal, as it always is with a major party candidate. From the beginning, Nicolle [Wallace] pushed for Katie Couric and the CBS Evening News. The campaign’s general strategy involved coming out with a network anchor, someone they felt had treated John well on the trail thus far. My suggestion was that we be consistent with that strategy and start talking to outlets like FOX and the Wall Street Journal. I really didn’t have a say in which press I was going to talk to, but for some reason Nicolle seemed compelled to get me on the Katie bandwagon. “Katie really likes you,” she said to me one day. “she’s a working mom and admires you as a working mom. She has teenage daughter like you. She just relates to you,” Nicolle said. “believe me, I know her very well. I’ve worked with her.” Nicolle had left her gig at CBS just a few months earlier to hook up with the McCain campaign. I had to trust her experience, as she had dealt with national politics more than I had. But something always struck me as peculiar about the way she recalled her days in the White House, when she was speaking on behalf of President George W. Bush. She didn’t have much to say that was positive about her former boss or the job in general. Whenever I wanted to give a shout-out to the White House’s homeland security efforts after 9/11, we were told we couldn’t do it. I didn’t know if that was Nicolle’s call. I was thinking, And this has to do with John McCain’s campaign how? Hearing all that, I almost started to feel sorry for her. Katie had tried to make a bold move from lively morning gal to serious anchor, but the new assignment wasn’t going very well. Obviously, this confirms what we already suspected about the McCain campaign, they were some of the most inept, worthless people in modern history. No wonder they were making up stuff left and right about Sarah after it was all over trying to cover up for their own inadequacies. All I know is I can’t wait to get my hands on a copy of the book. Only a few days left before they go on sale nationwide, and the big online retailers start shipping those record breaking pre-orders! The Rules Have Changed. Sarah Palin Changes Everything. Back in the mid 1990’s The Chrysler Corporation went public with a really new and exciting business model. The company best known for the K-car and inventing the mini-van at that point in time, had spent a lot of time behind the scenes to totally remake the company. They threw everything out, and started fresh. New “cab-forward” styling on their cars, and a brand new pickup truck, the first completely new truck in 25 years, and a completely refocused management, design, and manufacturing team. Chrysler became the most exciting car company around. Envied by the other manufacturers. It really was the rebirth of a company that since the it’s formation had always been recognized as one of the best at engineering. This brought Chrysler back in a big way. Record sales, especially in trucks, helped Chrysler show healthy profits. If fact, Chrysler became so successful, Mercedes-Benz would soon come knocking with a bundle of cash and an offer! The Dodge Division of Chrysler was in a really good place. They not only had a pick-up truck that just knocked people’s socks off! They had a world class sedan in the Intrepid. There was a new mini-van, and at the time Chrysler ruled that market with over 50 percent share. And Dodge really shook things up with the Viper, an incredible hand built sports car/muscle car that just had to be driven to be appreciated. This was a real rallying point. Nothing like being in a room with hundreds of dealers and having the Dodge folks yelling “the rules have…” followed by the dealers screaming “changed!”, followed by “this changes…” “EVERYTHING!” shouted by Dodge folks and the dealers respectively. Well, I’m here to tell you, with Sarah Palin, the rules have changed! Look, much like Chrysler’s history, the Republican party was known for solid core principles. This dates back to Abraham Lincoln. And just like Chrysler, the party has had it’s ups and downs. It’s had periods of great highs and low lows. One of the very best eras for the party was during the Reagan years. In car guy terminology, this was like the muscle car era when Chrysler’s Hemi(c) engine was introduced and was unbeatable on the race track. NASCAR actually ended up banning the thing and NHRA factored it into oblivion. Ronald Reagan was that dominant as well. To this day he still inspires millions. And of course, there were those heady days in the mid 1990’s when the Republicans, led by Newt Gingrich and others took back Congress. That was the culmination of the Reagan Revolution. But sadly, the Grand Old Party is currently in the K-car business. Utilitarian and somewhat solid, but not exciting, and devoid of any real leadership or ideas. Now for sure, there are some exceptions, there always are. But basically, the GOP is at this point.. Not bad, but certainly not great. Then there is Sarah Palin. Sarah defies political definitions and traditions. Yes, she is a true conservative, a novelty in itself in the Republican party these days, but this woman is unconventional, to say the least! Just the fact that she is a woman is a big deal. While there are a lot of women in politics, and a lot of Republican women in key roles, none have the shear magnetism and gravitas Sarah Palin has. Sarah is different from any politician out there. For one thing, she’s not a Beltway hack. Sarah Palin is an outsider. You can’t be more outside the Beltway than Alaska! Palin is someone who speaks her mind, and when she speaks, people listen. And, unlike most, Sarah Palin says what she means, and means what she says. Unheard of in Washington. In fact, Palin is so straightforward, that many either refuse to believe it, or simply can’t comprehend it. Case in point: When Sarah gave her Independence Speech on July 3, most of the “elites” in politics, and the media claimed they “couldn’t understand her” or as one put it, they needed “Rosetta Stone” to help them decipher! Funny thing, millions of us regular folk understood exactly what she was saying. Far from “rambling and incoherent” which has become the state run media’s talking point, Palin simply spelled out what she had achieved in her time as Governor, a lengthy list by anyone’s standard. She also explained why she was doing this. Of course, there were several reasons for Sarah’s decision to step down. This is a complicated situation, the fact of which seemed to fly right over the heads of the elitists. Not to rehash the whole thing, but one huge factor was the fact the democrat operatives were basically stealing millions of dollars from the Alaska tax payers by filing so many bogus ethics complaints, all of which had zero credibility or merit. Then there was the personal cost. These democrats have cost Palin and her family over a half million dollars in legal fees, defending false accusations. Palin actually had to set up a legal defense fund to help pay her bills. Of course, this is not uncommon. Many big name politicians have has to do this. But to hear the democrats tell it, Sarah is the first politician ever to do this. They’ve actually filed complaints because she is defending herself against all of the complaints! They even managed to get someone from Barack Obama’s law firm, Perkins Coie to play “special investigator” in this deal! And no one seems to see a conflict of interest by having Thomas Daniel “investigating” Sarah Palin! You can read more about that here, and more on Perkins Coie, here. Basically the democrats had ground Palin’s government to a halt. Nothing was getting done. That bothers Sarah immensely. Sarah is a doer. And someone who is all about getting things done doesn’t allow themselves to be halted for long! Now one other thing that helped Sarah make her decision was the fact that to the media, and the democrats, her children absolutely fair game. Everyone knows the details, so I won’t waste your time, but the really low point was the concerted and coordinated effort to attack her youngest, Trig, who has downs syndrome. Even for democrats, this was as low as it gets. Of all of the reasons Sarah is stepping down over, the one big reason, in my mind, is her love of country. Her deep patriotism. Her sense of duty. Sarah knows that Barack Obama is heading us on a road to ruin with his communist ideals. Obama’s plans are destroying the economy and destroying our liberty and freedom. And he is doing it at breakneck speed! Sarah, a fiscal conservative, who slashed Alaska’s budget by nearly 17 percent for FY 2010, sees that Barack Obama has spent more money and created more debt than all of the previous 43 Presidents combined. Palin instinctively knows that Obama and the democrats are bankrupting the country, and stealing our grandchildren’s future. Sarah also knows we need energy independence and has actually taken concrete steps toward that effort. Palin knows the nation’s economy runs on energy. Cheap, plentiful energy. This is a foreign concept to the democrats and Obama. Sarah understands instinctively that schemes like cap and tax, and the government take over of the health care industry, are destructive to the economy, will cause massive job loss, and will destroy freedom and liberty. Sarah gets national security. In fact, according to A.B. Culvahouse, the high powered D.C. attorney, and former Reagan advisor, who vetted all of John McCain’s prospective vice presidential candidates, Palin’s offer to be the vice presidential candidate came after her solid answers on three national security questions. Like the rest of us, Sarah looks at Barack Obama and sees Neville Chamberlain, wrapped up in Jimmy Carter, and seasoned with a good dose of naivete. This is a dangerous world, and this is no time to be the appeaser-in-chief, or the apologist-in-chief. So, what’s a girl to do? Well, if you are Sarah Palin and know that Obama and his minions must be stopped and stopped now, before he and his gang do irreparable damage to our nation, you can’t sit idly by and watch. Sarah knows she couldn’t be effective as Governor. Never mind the fact that the democrats in Alaska, the anklebiters, went insane every time she even thought about leaving the state. And logistically, Alaska is too far away from the rest of the country. So it makes sense for Sarah to step down, so she can step up. The media elites and the establishment Republicans can’t comprehend the fact that one doesn’t have to be in any sort of political office to effect change. They certainly can’t comprehend anyone giving up what they perceive as power. These cats are the ones who have to be dragged kicking and screaming out of somewhere once they have wore out their welcome! The media elites and the good old boys in the GOP don’t know Sarah Palin! The story of Palin is that of a true reformer. She has done it since her earliest days as a Wasilla councilwoman, where she battled with a fellow council member over ethics. Nick Carney, the council member that actually encouraged her to run for office in the first place, had a waste management business. Not a shock, most small town council members and mayors do have some sort of business. But Carney was pushing for an ordinance that would have basically given his company a monopoly in and around Wasilla for garbage collection. Even though they were friends, Sarah fought and defeated the measure, and thus, a reformer was born. The most well known story is how Sarah cleaned up corruption at the AOGCC. The oil and natural gas commission she chaired. This was pure Sarah Palin. After being term limited as mayor, Palin ran for Lt. Governor. Even though she didn’t win, Palin caught the eye of Governor Frank Murkowski. Murkowski appointed her to the AOGCC. This is a powerful, good paying job. So what happened next had to be a tough decision to make. There was a serious good old boy network in and around the oil business in Alaska. Many of the state GOP party officials worked at Palin’s agency. Most notably party chair Randy Ruedrich and former attorney general Gregg Renkes. There were major conflicts of interests between AOGCC people and those in the oil, and coal businesses which the commission regulates. Additionally, Ruedrich was known to spend a lot of company time doing party business. When Palin tried to fix these issues, tried to clean house, she met incredible resistence. Her boss, the Governor wanted to protect his boys! In what had to be a painful decision, Sarah Palin decided to resign. She “quit.” But, she didn’t really quit! Now just like today, all of the so-called experts said she was “committing political suicide” was destroying her chances of ever being in politics again. It seem they was slightly incorrect! 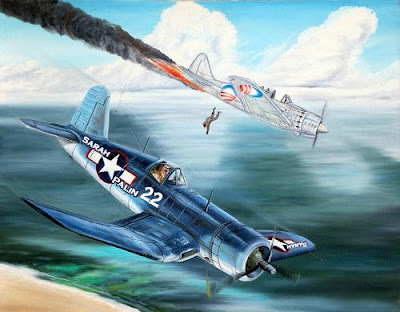 You see, far from quitting, Sarah Palin had only begun to fight! In the end, resignations were tendered, fines were paid, and some ended up in prison. As a private citizen, Sarah Palin basically took down the whole Republican establishment. No wonder the establishment types hate her! Sarah wasn’t done quite yet though. Her next move was to run for Governor of Alaska. She beat Murkowski in the Republican primary in a landslide and then took on popular former democrat Governor Tony Knowles and beat him convincingly. This is the history of Sarah Palin that the state run media, and Beltway elites either ignore or simply don’t understand. For someone like Sarah, an out-of-the-box thinker, and an incredibly unconventional politician, it makes perfect sense to “give up power” and step down as Governor. Just like she saw an unwinnable situation over at the Alaska Oil and Gas Conservation Commission, she saw an unwinnable situation if she stayed on as Governor. Anyone paying attention knows that Sarah Palin is not going to fade into the woodwork. 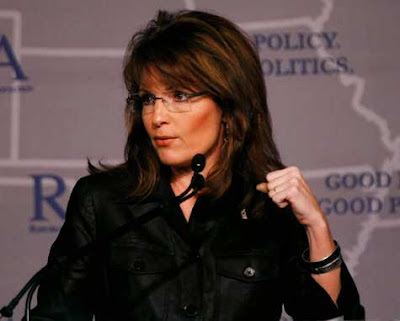 Palin has already said that she is ready to come to the lower 48 and support pro-American conservative candidates. She wants to promote candidates that share her philosophy of small government, fiscal responsibility, strong national security, and energy independence. Sarah already has speaking engagements lined up and more invites than one can imagine. If you are one of the nearly 120,000 people who follow her on twitter, you know Sarah is chomping at the bit wanting to get busy. She’s been dropping a lot of hints, and going after Obama. She will have a new account after she leaves office, and has promised it will be less “politically correct!” More of a Sarahcuda unleashed! And that in a nutshell is what Sarah Palin is all about. This is someone who doesn’t care if she has hurt her chances of ever holding public office again, she has bigger fish to fry! Sarah Palin has guts, something sorely lacking nowadays. She is fearless. Sarah sees the dire situation we are in and has decided that since no one else is answering the call with full force and determination, that she will do it herself. With Sarah Palin, the rules have changed. No one knows where this journey will take her. But we all know it will be exciting and productive. Frankly, if all Sarah accomplishes is getting a great number of conservatives elected and helps take back Congress so we can stop Obama and start reversing all of the damage he has done, she will forever be remembered as a patriot. But Sarah Palin is a unique figure in American politics. She draws huge crowds wherever she goes. And once she has these crowds she doesn’t fill their ears with empty rhetoric like that hopey-changey guy we know. Sarah talks substance and policy. That will prove problematic for the unicorn and rainbow salesman-in-chief! Look for Sarah to energize the nation. To lead a real movement in this country. She has the Republican base. In fact, latest polls show she has a 76 percent approval rating among all Republicans. And her numbers among independents, and even moderate democrats are growing. Much like Ronald Reagan, Sarah has the ability to build a strong coalition of common sense Americans who have had their fill of business as usual in Washington. A coalition, that if she chooses, can propel her into the White House in 2012. 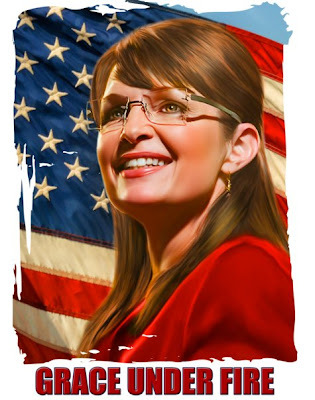 By seizing the moment and breaking all of the rules, Sarah Palin will be able to turn the Republican brand around. She can bring it back to it’s solid conservative roots. Sarah can transform the GOP from the K-car of politics to the most dynamic and exciting brand going! Some inspiring video for a Sunday. Nice way to lead up to Sarah Palin’s much anticipated leadership role in taking America back. Rex Butler sighting Update at the bottom! You know, at some point you just sit back and realize that some folks are just crazy. Maybe insane! But I have to say, that in the long run, Sarah Palin’s decision to stand down, fall on her sword for the Alaskan taxpayers, was a genius move. Not only will she save the taxpayers millions of dollars, she will be free of this sort of nonsense that I doubt anyone else in public could withstand, especially with the grace and dignity in which she has comported herself. As I wrote the other day, democrat hack Zane Henning couldn’t contain his joy when Governor Palin resigned and just had to prove her point and highlight her most self-sacrificing reason for leaving her job: The fact that these out of control democrats are costing, no, scratch that, STEALING millions of dollars and 1000’s of man hours from the Alaska taxpayers with their severe case of Palin Derangement Syndrome. You can go back and read all about that one. But today, the loons struck yet again! This press release came from Palin’s Chief of Staff, Mike Nizich. “A week ago today, the governor told Alaskans that she was about to step down as governor in large part because of the campaign of harassment against this office, in which the Executive Branch Ethics Act has been repeatedly abused. Incredibly, since then two more ethics complaints have been filed against the governor, including one today. Of the ethics complaints against the governor or her staff, 15 have been resolved without any finding of wrongdoing, and four are now pending. One notices that it is illegal to release any details of an ethics complaint because of confidentiality laws. Think about that. The first thing these “arbiters of public ethics” do is break the very law they claim they are wanting to uphold! Of course they use their usual suspects, the “axis of nefariousness”: Huffington Post bloggers Shannyn Moore, Jeanne Devon, (AKMuckraker) Amanda Coyne and Geoffrey Dunn; Alaska’s official DNC blogger Linda Kellen Biegel; and of course, the Anchorage Daily News, to help them break the law. The complainant here is a fellow named Ray Ward. His other major claim to fame is that he once filed a suit against the Godfather of Soul himself, James Brown. Ward, for those who care, is a lifelong James Brown impersonator. Sort of reminds you of this one, and this one. There is most definitely something in the water in Alaska that effects liberals in an adverse way. I hope once Governor Palin is out of office, that Governor Parnell, and his staff work toward reforming these ethics laws, adding strict punishment, as in jail time, for those who would file frivolous complaints repeatedly or break the confidentiality laws. The rule of law is a two way street not a play ground for liberal democrats to harass those they disagree with. This technique of course is right out of Saul Alinsky’s Rules. The bible that is evidently given to liberals at birth! Also right out of the CREW, (Citizens for Responsibility and Ethics in Washington) playbook, as well. CREW is a George Soros front group and is behind at least one complaint against Governor Palin, that we know of. And independent of my own work, others have tied Barack Obama, directly to the effort to take Sarah Palin down, both before the election, and most definitely after. This has to be read to be understood. These people are scared to death of her, and rightly so. Of course, liberals, being liberals, they overreach. Just like Obama and his cronies are overreaching by trying to ram their agenda down America’s throat, at warp speed, these Alaskan democrats are doing the same overreaching and really overkill with this nonsense. Every time they file one of these ludicrous “ethics complaints” they simply make Governor Palin’s point for her. They put an exclamation point on the fact that her self sacrifice for Alaska was morally the right thing to do, and something that few other politicians would ever have the integrity to do. If we didn’t have such a totally worthless media, Sarah Palin would be heralded as a great statesman with a true servant’s heart. Fat chance that will happen with what passes for “reporting” these days. As an aside, anyone catch Senior Washington Correspondent for Politics Today’s scathing indictment of the media and it’s total efforts to destroy Sarah Palin during the 2008 Presidential election and afterward? This is a fascinating piece of writing. It deserves a Pulitzer, I wait with breathless anticipation. I’ve asked this before of my fellow conservatives, and fellow Republicans. When is enough going to be enough? When are we, as a group, going to get serious about this sort of thing, and fight back? Even if Sarah Palin isn’t your cup of tea, these tactics have been used by democrats on their enemies for decades. Never this aggressively, but used none the less. At some point these unethical, and immoral, perversions of the political discourse will get around to someone you care about. As Sean Connery’s .Jim Malone says to Kevin Costner’s Eliot Ness with his dying breath in The Untouchables: :What are you prepared to do! This would be a good time to leave you with this video, and a call to invest in Sarah Palin by sending a donation to the Alaska Trust Fund to help defray this added burden. It seems that Ray Ward’s attorney in this matter is Rex Lamont Butler. Rex Butler is an Obama supporter who is basically acting as Bristol Palin’s dead-beat dad ex-fiance, Levi Johnston’s “agent” while he is negotiating book deals and movies. And it is reported that Butler is also representing Levi’s mom, Sherry Johnston on her 6 felon drug charges. Also, Butler has admitted he paid for The Johnston family’s trip to New York to hit all of the talk shows recently. Oh, what a tangled web these democrats weave! 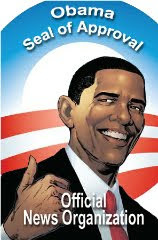 Ziegler was so sure that Barack Obama would win the presidency, he purchased the Web site domain http://www.howobamagotelected.com in June 2008 and started to think about producing a documentary.